NEW! Falcon Valley Animal Hospital now offers PetlyTM Preventative Care Plans! Get the best in preventative care for an easy, low monthly payment. Our preventative care plans include everything that is recommended to keep your pet healthy, including biannual physical examinations, vaccinations, intestinal parasite treatments, blood testing, and urinalysis. PetlyTM plan members also get discounts on additional medical services that may be required if your pet becomes ill or injured. Special plans are available for puppies and kittens, too! Please call for pricing on puppy and kitten plans. There is a one-time initial set-up fee of $99.95 per plan; this fee is discounted to $84.95 per plan if multiple pets are enrolled at the same time. This one-time initial set-up fee will be discounted to $69.95 per newly signed up pet until October 31, 2018. Be sure to take advantage of this dramatic savings! A thorough physical exam is the foundation of your pet's health care. It is critical to the care of all animals, from the very young to "senior citizens". Because young animals change rapidly, we examine them thoroughly at each of their puppy or kitten visits. We recommend semi-annual physicals for all pets regardless of age. Don't forget; pets age faster than people do! One dog year is approximately equal to seven human years. 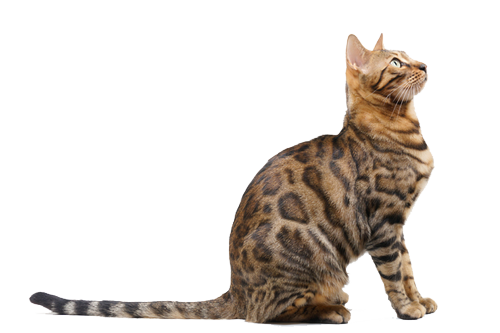 Our veterinarians devote a good deal of time to your pet's wellness exam. This allows us to do a thorough examination and advise you on all aspects of your pet's care, including nutrition and behavior. We listen to your pet's heart and lungs, evaluate his or her vision, check for unusual lumps, look at your pet's teeth and oral cavity and check your pet's joints for swelling or stiffness. We also discuss with you any recommended procedures, such as dental cleanings or diagnostic testing that may be appropriate for keeping your pet healthy. These exams help us get to know your pet and treat him or her more effectively. Exams give a complete picture of your pet's health and are useful in detecting diseases and other health problems in the early stages - before they become more difficult, and more expensive, to treat. The adoption of a puppy or a kitten is a very exciting event, and Falcon Valley Animal Hospital wants to help you take the best care of your new companion. 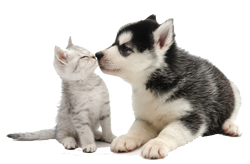 We offer both puppy and kitten packages, which include all vaccine updates and deworming if required. Packages also include a free sample of Science Diet puppy or kitten food, a complimentary nail trim and complimentary doses of heartworm prevention and flea and tick prevention. Each client receives a full exam and a report card with a picture illustrating the results of the exam. Your pet's prescriptions are filled quickly and accurately at Falcon Valley Animal Hospital's fully-stocked in-house pharmacy. We stock the latest medications for your pet and your pet's prescription often is ready at the end of his / her appointment. For your convenience, Falcon Valley also carries Hill's food for both cats and dogs, including Science Diet for maintenance and Prescription Diet for special needs. Parasites can be a pain for your pet - and your family! External parasites (fleas and ticks) and internal parasites (heartworms, roundworms, and hookworms) are common in pets. Many parasites, including fleas, ticks, and hookworms, are zoonotic, which means they can affect you and your family as well as your pet. Prevention is the key to stopping parasites before they harm your pet and your family. Falcon Valley Animal Hospital provides your pet with the proper parasite prevention products. We offer a comprehensive flea and tick prevention and treatment program, including topical FrontLine for pets and KnockOut area treatment for their environments. If your pet requires treatment for parasites, we can help. Our veterinarians use the latest medical techniques to get rid of heartworms, fleas, and ticks in your dog or cat. Does your pet have a microchip? Each year, millions of pets go missing and many don't make it back home. Microchipping your pet is a simple, effective way to prevent this tragedy. About the size and shape of a grain of rice, identification microchips are encoded with your pet's vital information and implanted beneath your pet's skin, usually between the shoulder blades. Veterinary hospitals and animal shelters across the country are equipped with special scanners capable of reading these microchips - if your pet is lost, the microchip is scanned and the information is used to reunite you and your pet. Falcon Valley Animal Hospital uses the Home Again microchip system.